We have 17 En-suite rooms available capable of sleeping 48 guests we can assure you of the highest levels of cleanliness, decor and furnishings throughout the hotel and we also have full central heating. 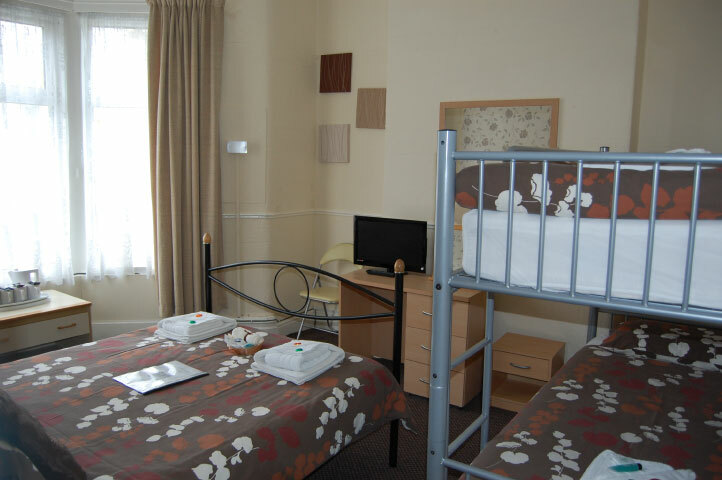 We offer single, twin, double and family rooms. All of our Bedrooms have full En-Suite facilities, Clean Comfortable Beds, hospitality tray offering tea and coffee. 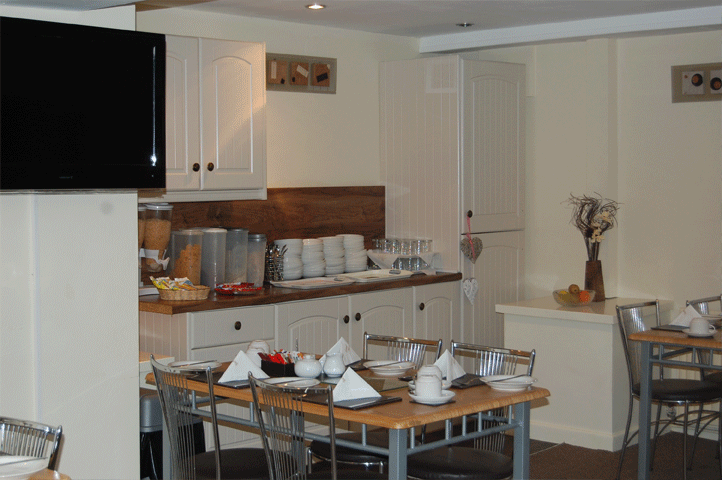 All rooms have a colour t.v with Freeview. Our bar area is ideal for you to relax in after a full day out in Blackpool and offers a good selection of wines, beers and spirits. 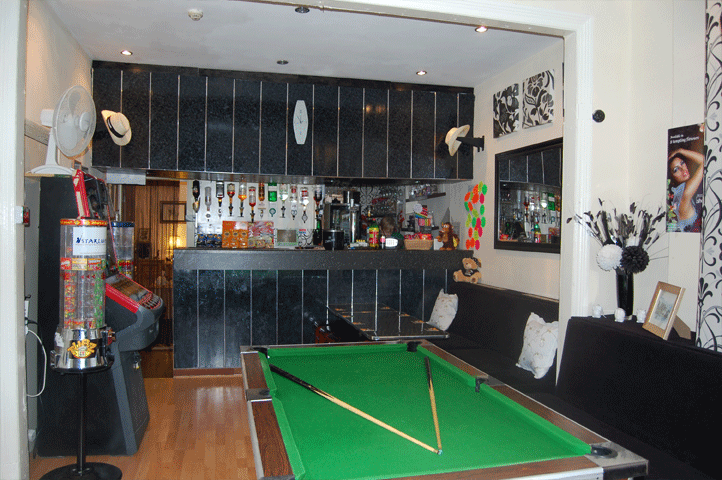 We also have a pool table for those enthusiasts who find the need to play - even when on holiday. Breakfast is served from 8.45am until 9.30am and consists of a choice of cereals and Fruit Juice then Sausage, Egg, Bacon, Hash Brown and Baked Beans with Toast, Tea or Coffee. 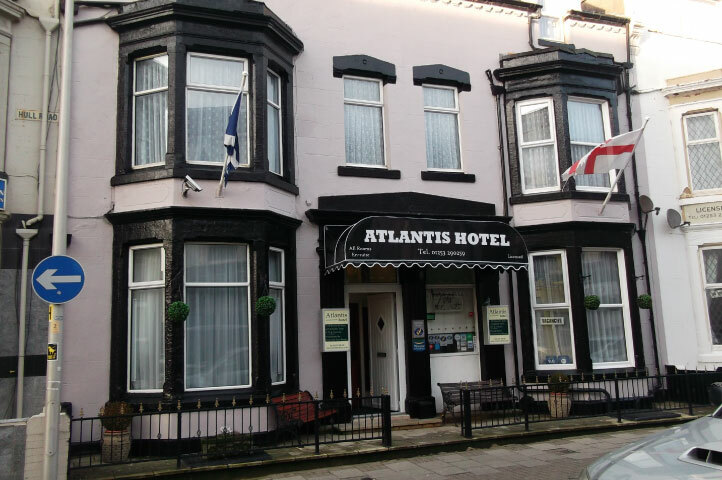 All the main attractions are well within easy walking distance, alternatively bus and tram stops are directly outside the Hotel. Visit our links page to see what else we are close to. We accept stag and hen parties. In order to comply to the governments non-smoking laws our hotel is non-smoking throughout.